Sweeyoke at Metro Bike Night 2014’s photo both having a blast. Sweeyoke Ooi loves bicycles! She also loves public transportation. Combining the two, this resident of Torrance is able to get just about anywhere in Los Angeles County. Swee has also been an avid supporter or Metro’s Bike Week LA. You may have seen her taking photos at press conferences, riding like the wind at the Wednesday morning guided ride, visiting pit stops on Thursday’s Bike to Work Day, and dancing up a storm at Friday’s Metro Bike Night at Union Station. 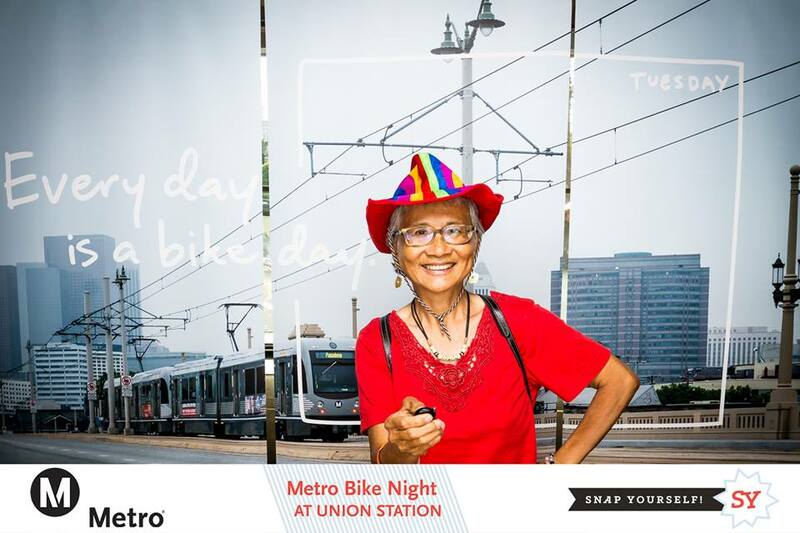 Swee prefers to ride her bicycle and go Metro because it enables her to get around the city and see the beauty of different neighborhoods, which she wouldn’t be able to enjoy from the inside of a car. She is able to connect with her community by striking up conversations with people on bikes and at Metro bus stops. Bicycling means freedom and independence for Swee. With her bike, she’s able to run errands such as going to the market, library, doctor’s appointments, Zumba classes and the beach. At the finish line after ending Bike Week LA’s Guided Ride between Union Station, Boyle Heights and back. 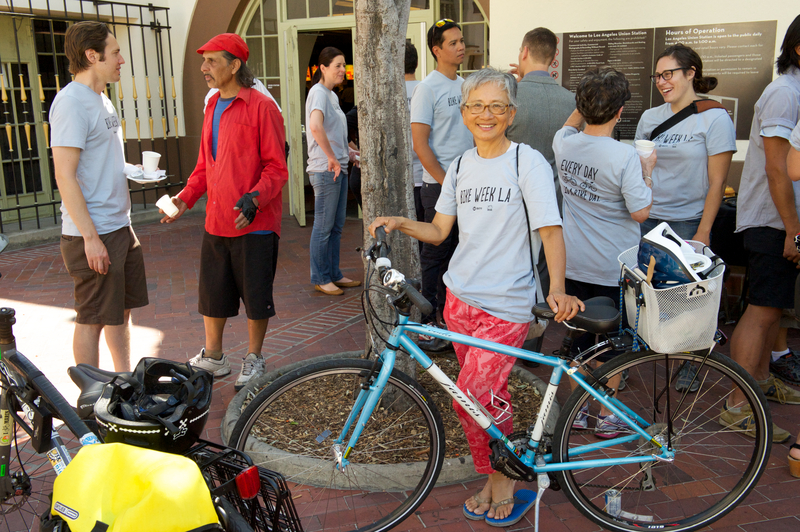 Before she retired two years ago, Swee regularly rode a 19-mile commute to work. After retiring, bicycling remained a natural part of Swee’s life. In fact, Swee is known in the bicycling community for being everywhere. She attends Metro, CICLE and LACBC events with a smile on her face and dressed to the nines. She loves to bike because it keeps her young and healthy and she is all the richer for it in the pocketbook and in her daily life. Thank you, Sweeyoke Ooi, for your positive energy! You are an inspiration to us all. With help from our generous Bike Week LA sponsors, Sweeyoke will receive a Bike Week LA bag with a Nathan safety vest, bike patch kits, bike blinkers and “Every Lane is a Bike Lane” bumper stickers. Los Angeles <3's you Swee! Our bike events wouldn't be the same without you. She takes transit and spend a lot of time getting out to the San Gabriel Valley just to be a part of our rides. She’s always awesome whether she’s on a bike, rollerblading or dancing at the bike ride!